ME&A Inc. currently implements the Advanced Science & Partnerships for Integrated Resource Development (ASPIRED) Project for the USAID Mission in Armenia. Water Resource Data: The Project will conduct a comprehensive inventory of the hydrological system in the Ararat Valley to update existing information. The ASPIRED Project will create a geo-coded, real time, publicly open data system for the Ararat Valley to include integrated water resource data-sets which are currently at possession of multiple stakeholders. A tool for hydrogeological modeling and decisions support will be created, together with a publicly accessible system to produce reports based on high-quality, real-time monitoring data. In partnership with the Government of Armenia and other stakeholders, the ASPIRED Project will develop the plan for decentralized sustainable groundwater resource monitoring in the Ararat Valley. Technology: Locally appropriate and cost effective water and energy efficiency technologies will be piloted at fish farms and other water use areas in the AAB. Pilot projects will be aimed at improving management of natural resources and reducing groundwater extraction levels at fish farms operating in the Ararat Valley. A related goal is to make water users more energy efficient and promote application of clean energy technologies. The ASPIRED Project will also develop and pilot at least one technology for permanent closure of illegal and/or abandoned wells. Important criteria for pilot projects will be their potential replicability, affordability, long-term maintenance and accessibility on the local market. 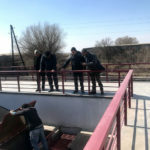 Water Regulation and Enforcement: The ASPIRED Project will carry out analysis of the water fee rates and come up with recommendations to the Government of Armenia. The Project will also work closely with the local state agencies responsible for oversight and enforcement to address their technical and knowledge gaps in groundwater resource use monitoring with the use of advanced technologies. Coordination Across Stakeholders: This component will promote collaboration with the stakeholders aimed at consolidating and/or efficiently utilizing available resources, avoiding duplication of efforts and attaining better results. The ASPIRED Project team will engage into partnerships with various stakeholders during implementation of pilot projects, research and analysis. 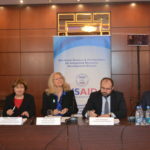 The Project partners are the USAID Global Development Lab, the US Geological Survey, Jefferson Science Fellowship Program, other USAID related projects in Armenia, private sector, research organizations and donors. In July 2016, USAID, Coca-Cola Hellenic Armenia and the Ministry of Nature Protection signed the Memorandum of Understanding for implementation of joint activities aimed at promoting water stewardship in Armenia. The Coca-Cola Armenia provided the cost share for the irrigation project in Hayanist village in 2016. Additionally, ASPIRED and Coca-Cola plan to install 20 of SCADA systems in the fisheries of the Ararat Valley in 2017. This project is funded under the Water and Development IDIQ (WADI) to provide USAID’s E3 Bureau with services and technical support to assist USAID’s Missions, Bureaus and Offices worldwide in the implementation of the Agency’s Water and Development Strategy.